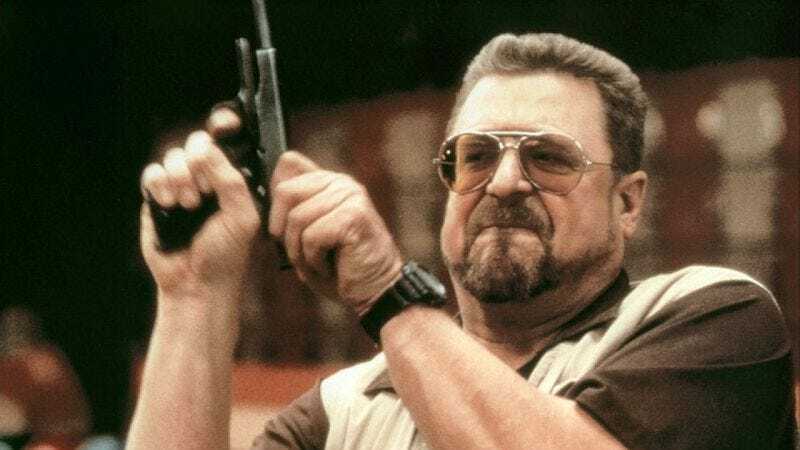 John Goodman is the latest actor to join the cast of Kong: Skull Island, according to Deadline. He’ll play a government official named Randa who leads an expedition party to the mythical island said to house the “king of the apes.” The whole movie is a King Kong prequel/origin story, which will more than likely ask Goodman to deliver the line, “’Twas beauty killed the beast,” while giving a knowing nod toward the camera. There’s no word on whether Goodman has signed on for multiple films, but we recently reported that Legendary Pictures’ decision to distribute Skull Island through Warner Bros. could be an attempt to set up a future King Kong/Godzilla face-off movie or even a whole giant-monster cinematic universe. We’d suggest that Goodman could be the Samuel L. Jackson of this franchise, but since Jackson is already in Skull Island, Goodman will have to settle for being the Cobie Smulders. Goodman’s other co-stars include Tom Hiddleston, John C. Reilly, Tobey Kebbell, Corey Hawkins, and Jason Mitchell. Brie Larson, meanwhile, remains the film’s sole female cast member at this point. Since Jurassic World’s Derek Connolly was recently brought on board to rework the script, that means Larson will probably end up running around Skull Island in high heels. Unless, of course, Connolly defies expectations and puts Goodman in a pair of stilettos instead. Kong: Skull Island is expected to hit theaters March 10, 2017.